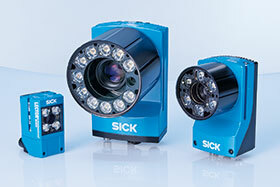 SICK Automation South Africa, one of the country’s leading sensor solution suppliers for industrial applications, recently installed 120 image-based 2D barcode readers across multiple scanning stations in a South African-based tobacco manufacturing plant. The cigarette manufacturer was looking for a solution to move from its manually intensive marking and tracing system, which facilitated human error and lacked a satisfactory verification process, to a modern technological one. The client’s objective was to ensure the plant retained its ability to produce world class products. This would be achieved through increased product traceability and improved quality control. SICK recommended its Lector 620 Professional image-based barcode readers, part of its Lector 62x product family, and specifically designed for improved product and process traceability. The installation of these barcode readers has ensured that the plant has up to date unit level traceability on all product elements. This incorporates the container stored tobacco blends through the entire production process, ending with cartonised cigarette boxes contained in palletised containers for distribution. The Lector 620 range includes a failsafe microSD card in case of device failure, which automatically loads all required device settings when inserted into a new device. “Product traceability allows for safe products to be manufactured while protecting the production process,” says marketing manager, Mark Madeley. He adds that among the benefits of the Lector 620 Professional is its automatic parameter switching ability. This allows the barcode reader to change its settings between four different modes, thereby accommodating variances in lighting conditions. The software used can also artificially enhance the barcode to ensure the highest possible read rates, while its image capturing ability conducted simultaneously to scanning is another advantage. “No-read images are saved, providing our client with the ability to ascertain the cause of the fault diagnostically and implement timeous remedial action,” he continues. All devices were pre-programmed according to the manufacturer’s standards with the plant’s maintenance engineers receiving device competence training. Used in the packaging and pharmaceutical, automotive, electronics and solar industries, as well as the document handling industry, the Lector 62x family decodes all common 1D, 2D and stacked codes and has optical character recognition. The readers come standard with industrial, compact housing with swivel connector, flexible interfaces and microSD memory card, while the function buttons include aiming laser, focus adjustment, auto-setup and green feedback LEDs.